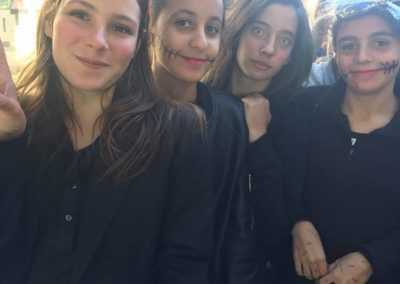 Voici un petit texte rédigé par quelques élèves de 5e5 de Mme Calvet. 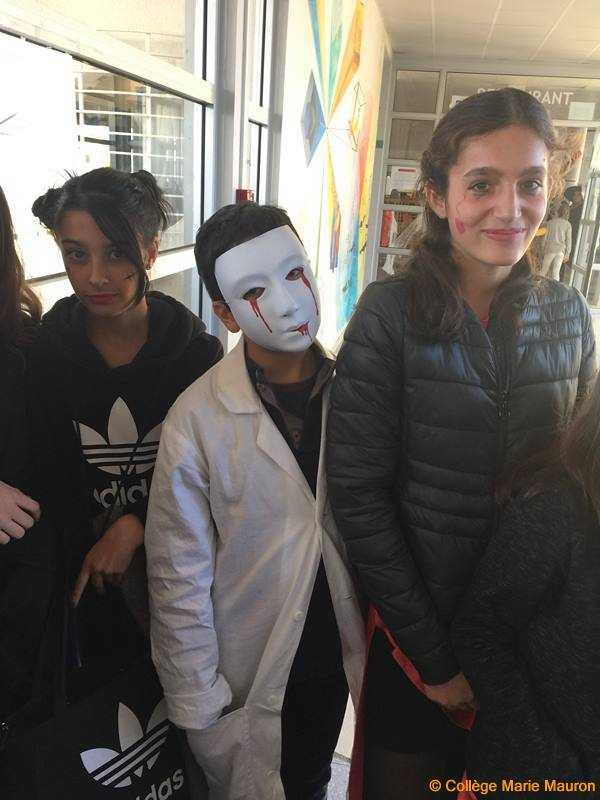 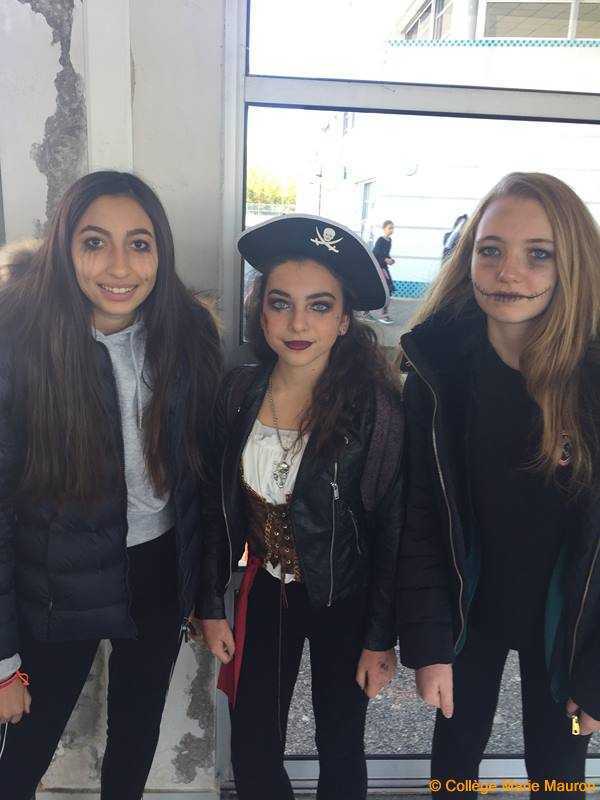 This year, on the 16th of November, we celebrated Halloween at school. 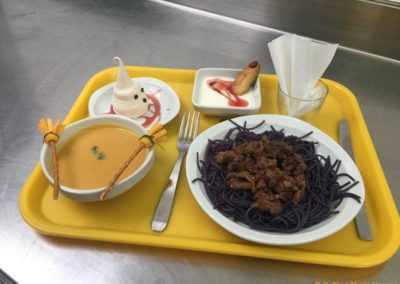 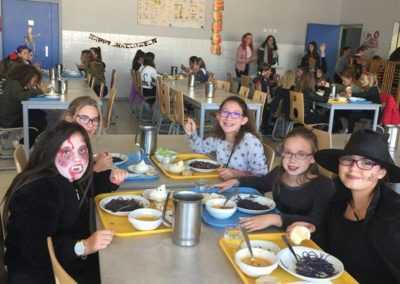 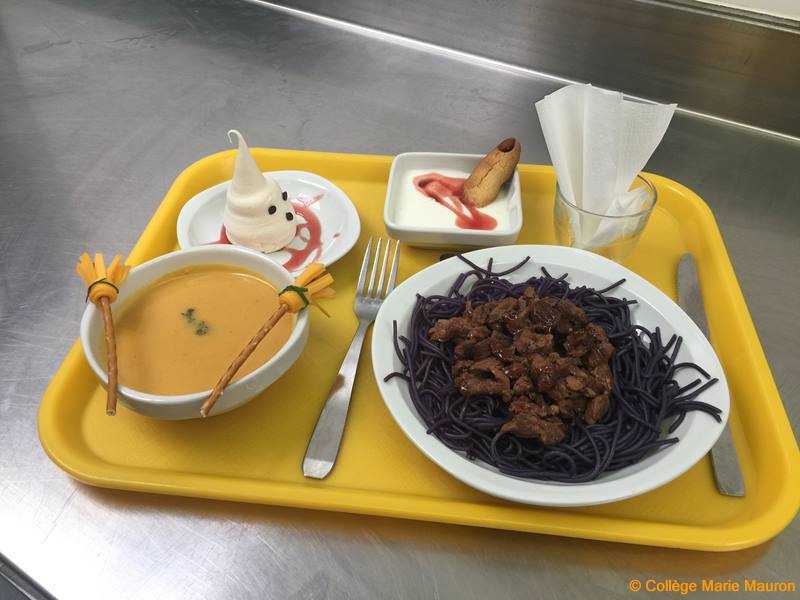 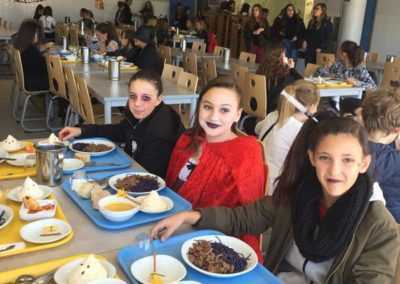 We had a special Halloween meal, it was very yummy but a little strange: we ate violet pasta, a bloody finger in white cheese, a ghost meringue and pumpkin soup! 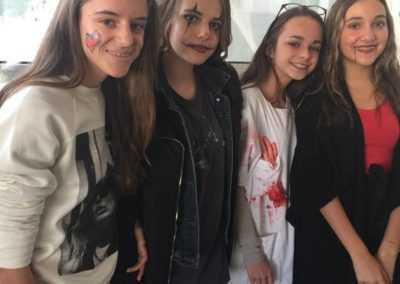 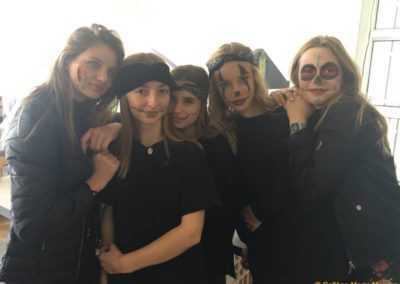 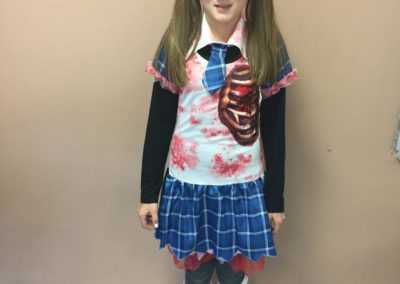 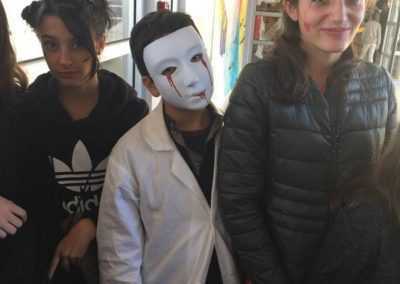 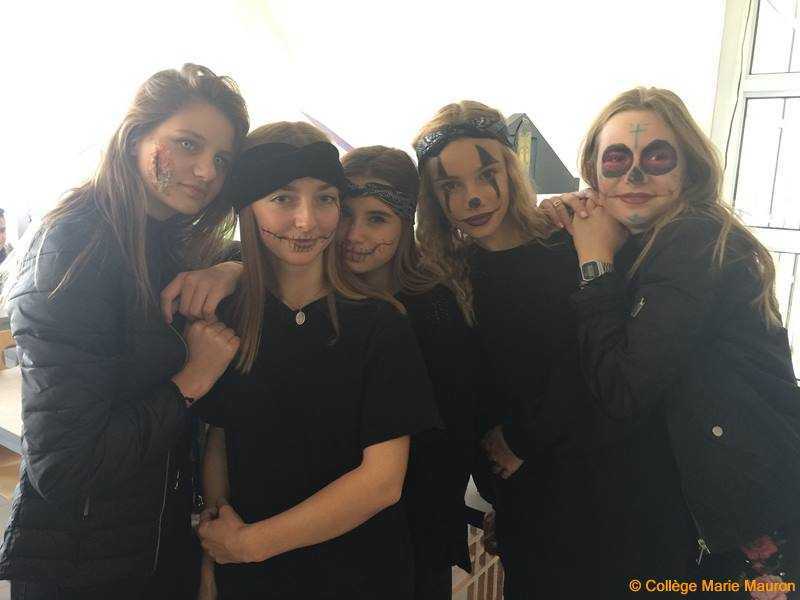 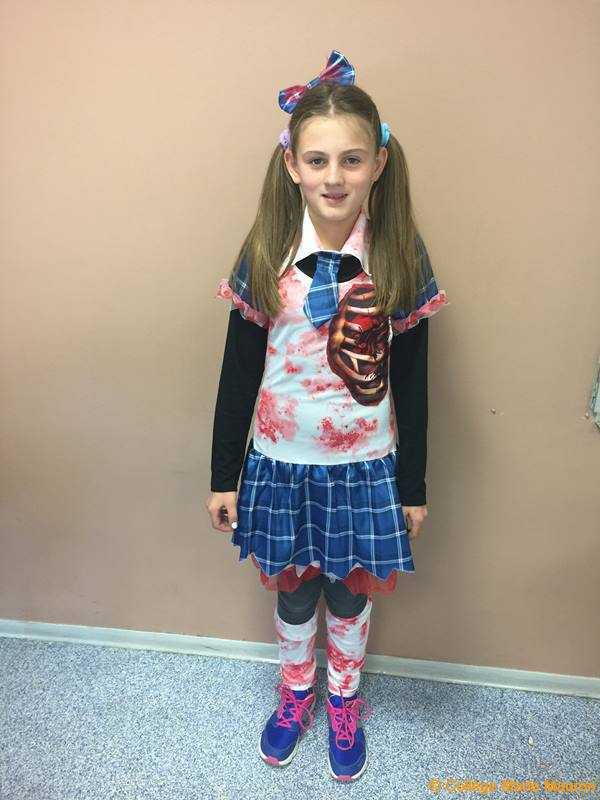 A lot of pupils dressed up: they wore terrifying costumes and spooky masks, they had frightening make-up. 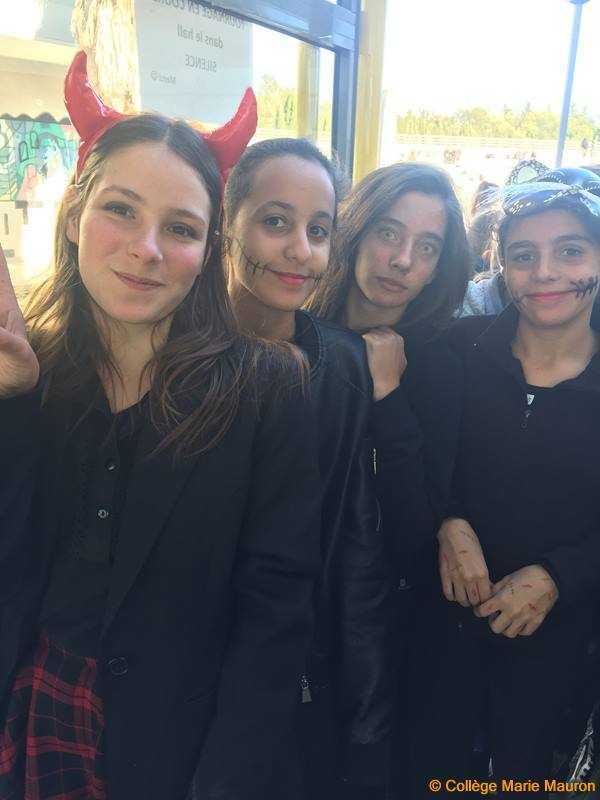 During the break we bought pop-corn, candies and drinks. 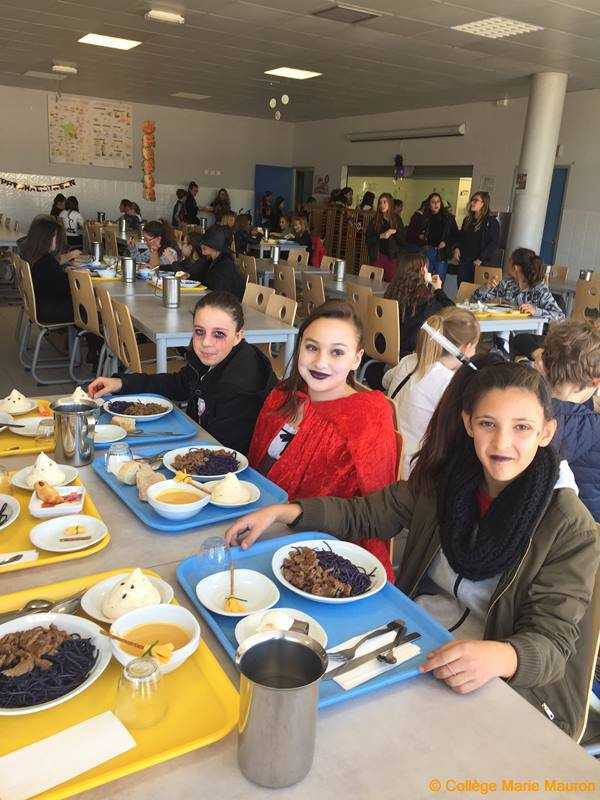 Some pupils played Quidditch during the Physical Education lesson or did funny activities. 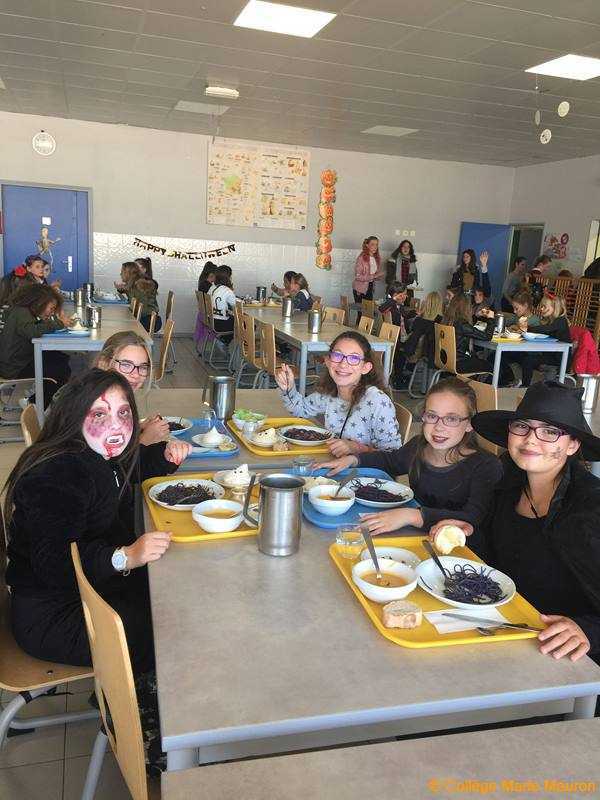 Some classrooms and the canteen were decorated. 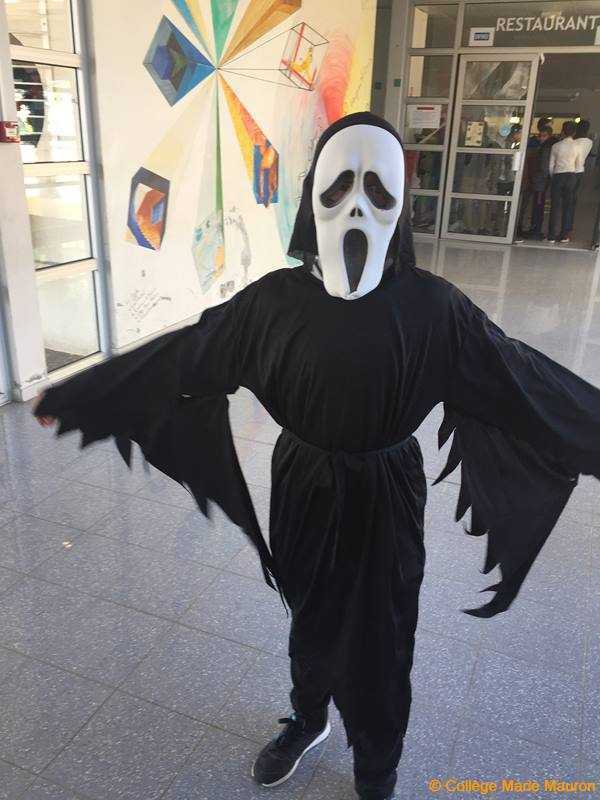 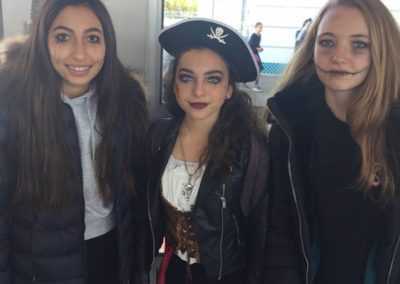 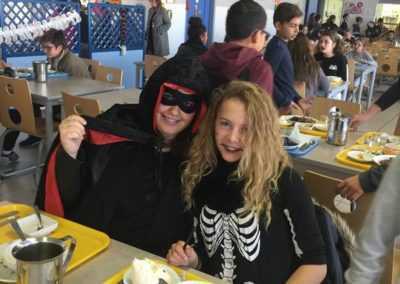 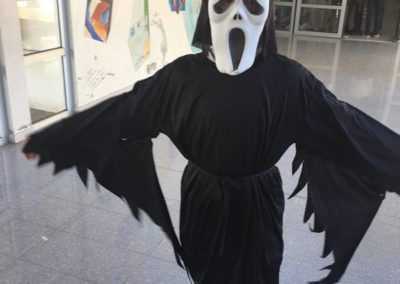 A few teachers put on scary costumes: they dressed up as skeletons, vampires or witches. 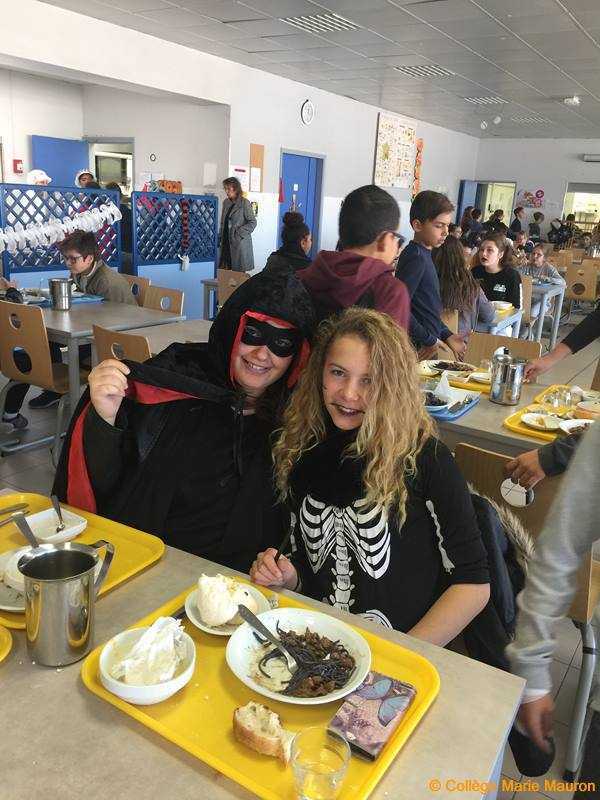 It was a spoocktacular and wicked day and we had a lot of fun! 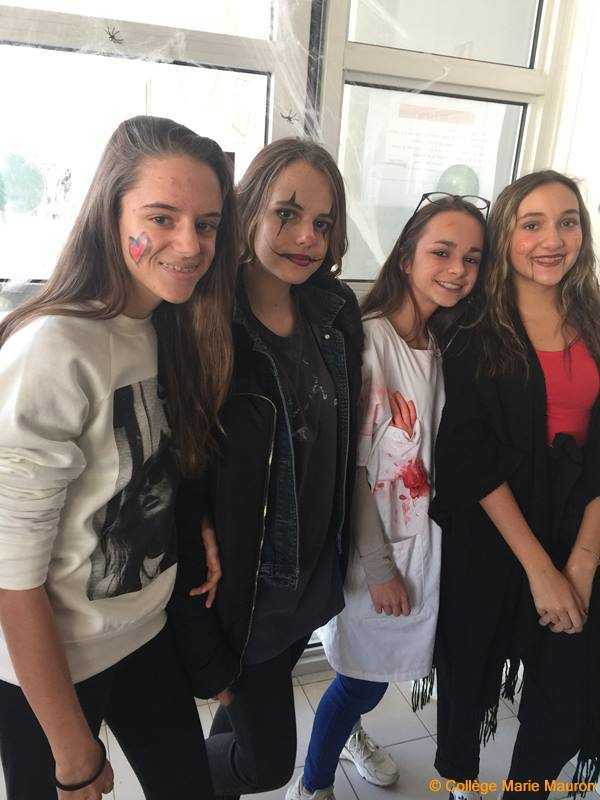 Thank you very much for organizing this celebration and see you next year!